In collaboration with faculty and staff from across campus, the College of Letters and Science offer programs that focus on academic and professional experiences that will help undergraduate students succeed at UCSB and beyond. Whether you are a new student just beginning to explore the opportunities available at UCSB, a continuing student working on your major and completing other requirements, or a senior getting close to graduation, the programs listed below could help you make the most of your time at UC Santa Barbara. Please check out the opportunities below, and if you have any questions about them, come to the College of Letters and Science Advsing Office in 1117 Cheadle Hall. Undergraduate Education collaborates with the Transfer Student Center to offer a variety of programming of interest to transfer students, such as the STEM Transfer Summer Start Program. UCSB is a place where people make knowledge. This happens in classrooms, studios, laboratories, museums, and workshops; it happens as faculty and students collaborate on big questions with answers yet to be discovered. The University of California Washington Program (UCDC) provides UCSB students with a unique opportunity to live, intern, and study in our nation’s political and cultural epicenter, Washington, D.C. The University of California Center in Sacramento (UCCS) provides a unique experiential learning opportunity for UCSB students. Participating students not only engage in stimulating internships and coursework, but also have the opportunity to observe public policy processes firsthand in our state's capital. UCSB’s Pre-Law Advising program is designed to help students in planning a path to law school. The mission of Health Professions Advising is to provide information to students who are preparing for careers in the health professions. 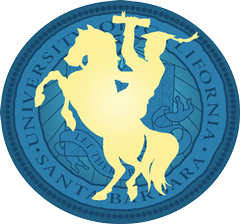 Outstanding UCSB undergraduate students may research Scholarships Requiring UCSB Endorsement, a repository of prestigious national and international scholarship opportunities.